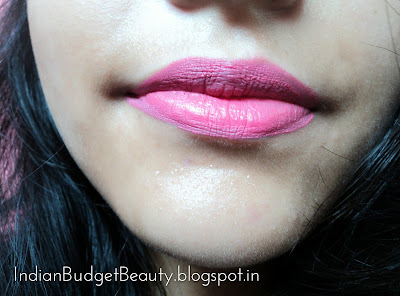 Soft Matte Lip Creams are to die for! 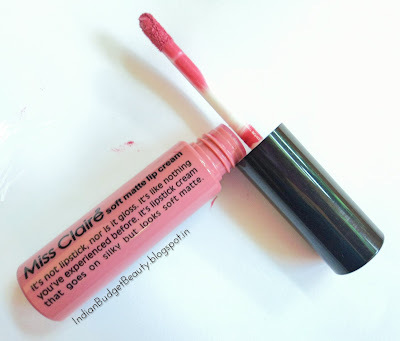 So when an Indian drugstore brand created them at half the price of the original (Nyx SMLC), then all women were raving about this...So here I present to you all Miss Claire Soft Matte Lip Cream. Its not lipstick, nor is it gloss. It's like nothing you've experienced before. It's lipstick cream that goes on silky but looks soft matte. PACKAGING: It comes in a plastic cylindrical container with a black cap. The colour of the container matches the shade so you can buy it accordingly. CONSISTENCY & TEXTURE: It is very buttery in texture. 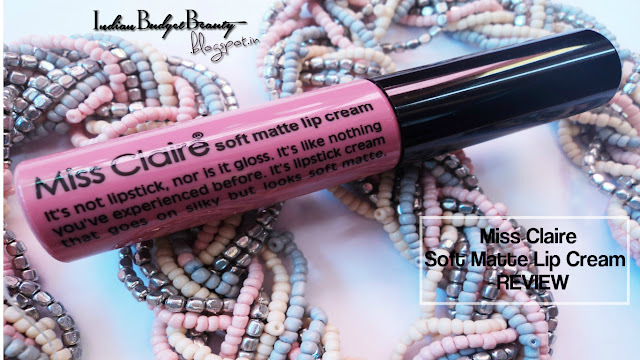 The consistency is quite thick yet it feels light on the lips. It feels like you haven't applied anything on your lips. SHADE & APPLICATOR: I bought the shade 11. It is a bright pink shade and very pigmented. Totally wearable but not an 'everyday shade'. It wood look great on fair-medium skin tones. The applicator is a typical dome shaped applicator, it is small and can apply the lip cream on your lips perfectly. 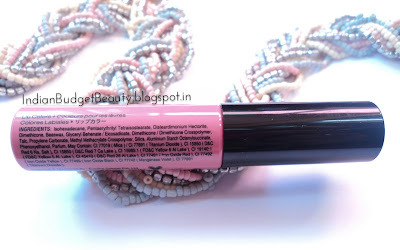 This lip cream is the best at its price. It stays about 5-6 hours and doesn't feel feel heavy on the lips. Its very light weight and the texture is to die for. But the only con is its availability. You can buy it from the Instagram stores or from amazon and habbana. The price is very tricky because it depends on the sellers. I recommend it to everyone out there. Grab it when you find one.